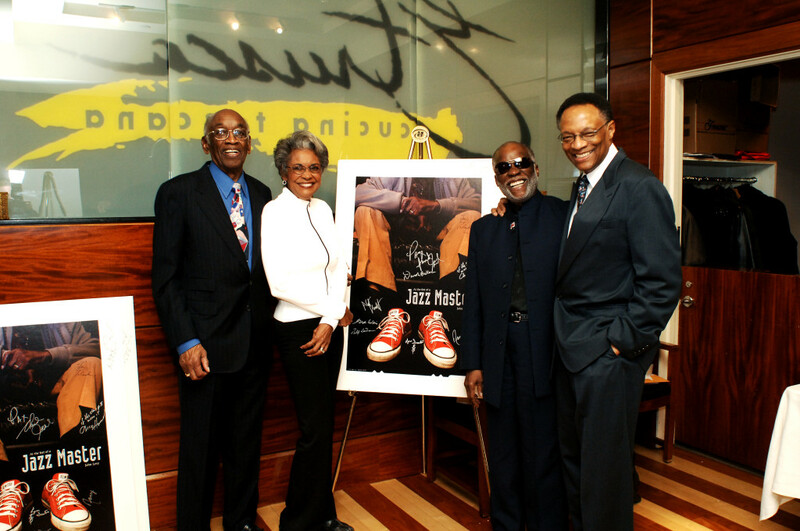 A real collector’s item: the 2′ x 3′ poster of Leroy Hamilton’s “At the Feet of a Jazz Master” photo mounted on form board, has been autographed by John Levy and a few dozen of his clients and friends, including Ron Carter, Ornette Coleman, Buddy DeFranco, Chico Hamilton, Slide Hampton, Jimmy Heath, Ahmad Jamal, Ramsey Lewis, James Moody, Maria Schneider, Lew Tabakin, Billy Taylor, Nancy Wilson, and Phil Woods, to name a few. Only six were produced and autographed during the 2007 IAJE Convention in New York, and John kept one for himself! $2,500.